#75: Trump Watch; Katrina + 10 years; Rewriting the Constitution. 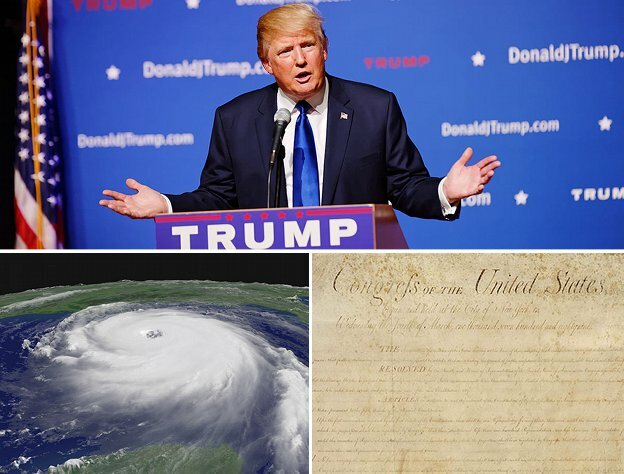 (Recorded August 29, 2015) This week: (1) Trump Watch; (2) Katrina + 10 years; and (3) Rewriting the Constitution. This entry was posted in Podcast Episodes and tagged Bill of Rights, Donald Trump, Hurricane Katrina, Jorge Ramos, New Orleans, US Constitution on September 1, 2015 by Admin.